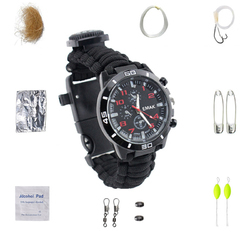 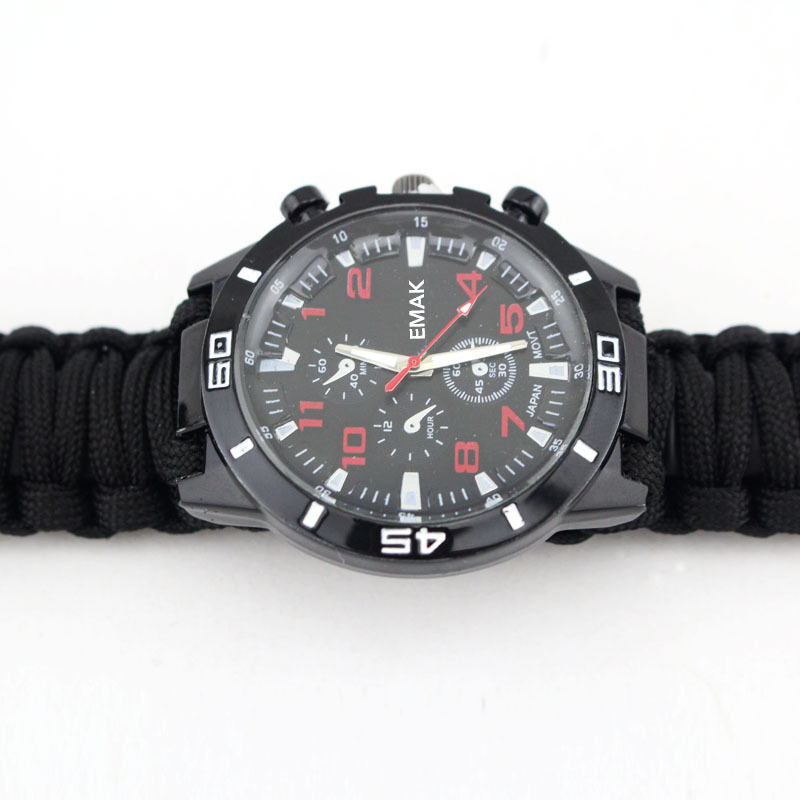 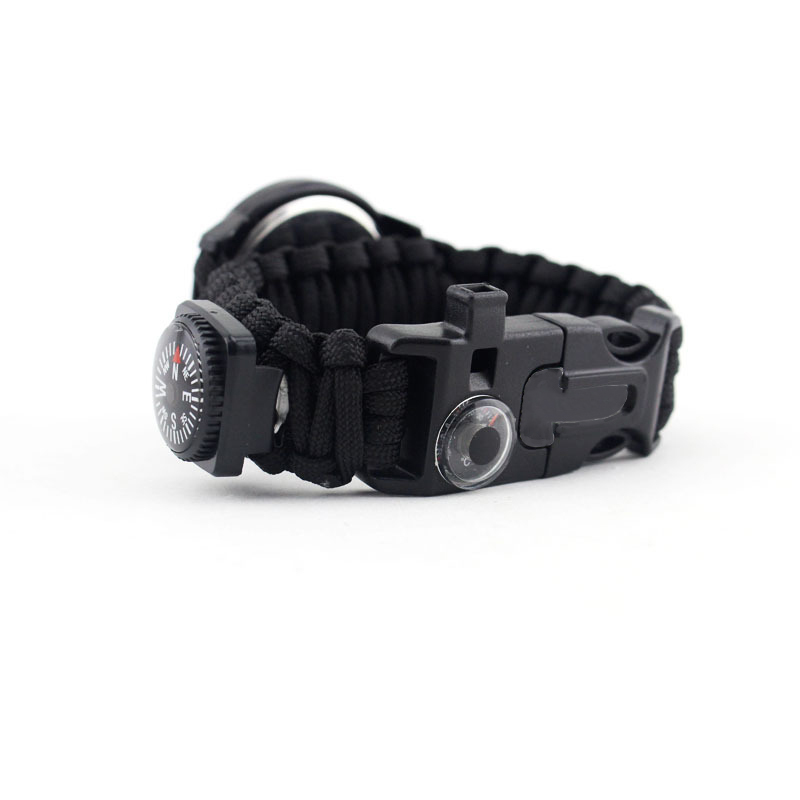 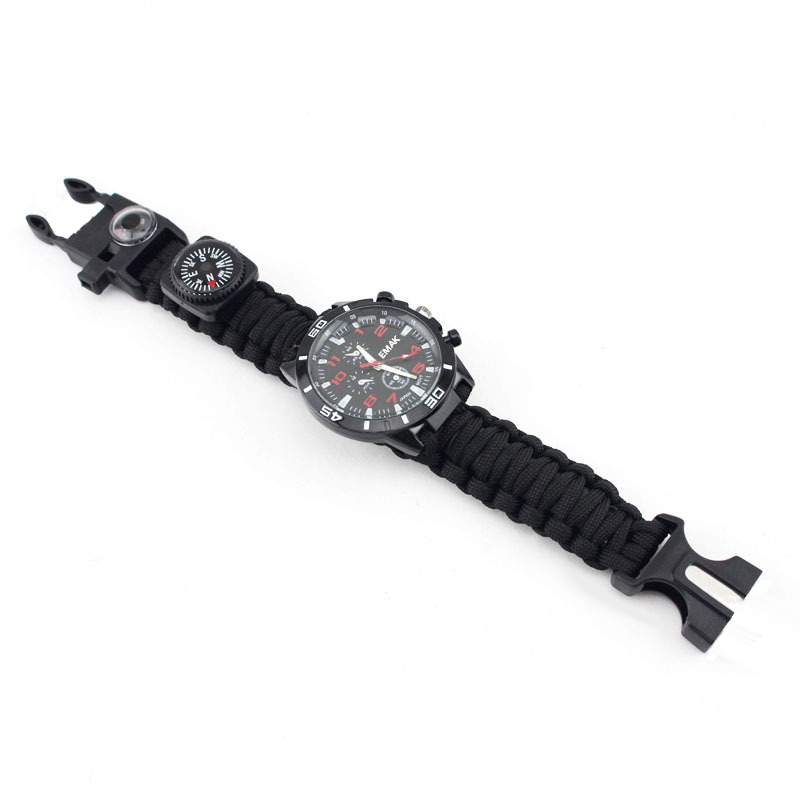 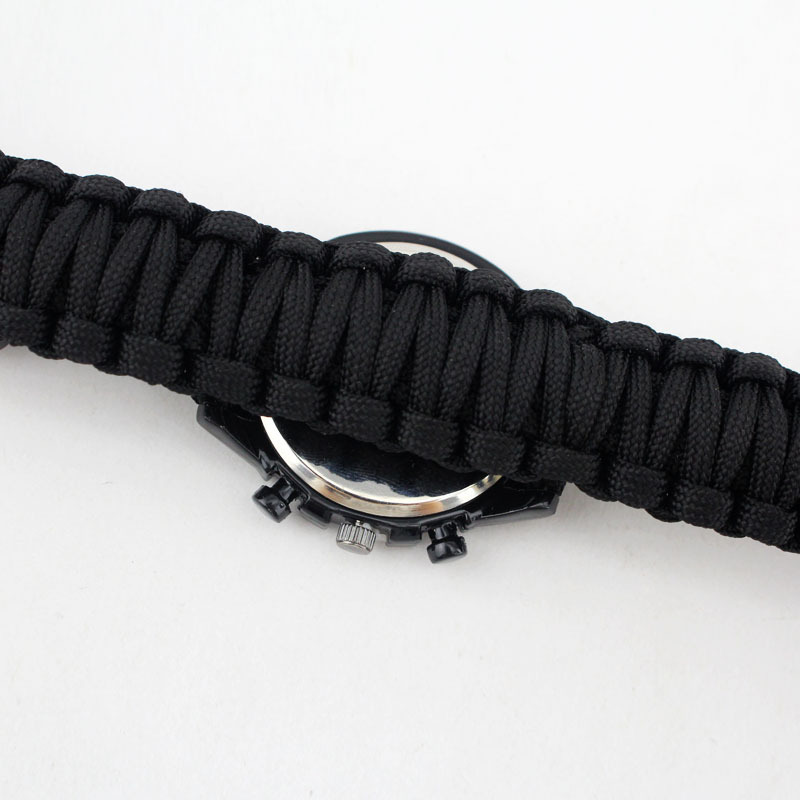 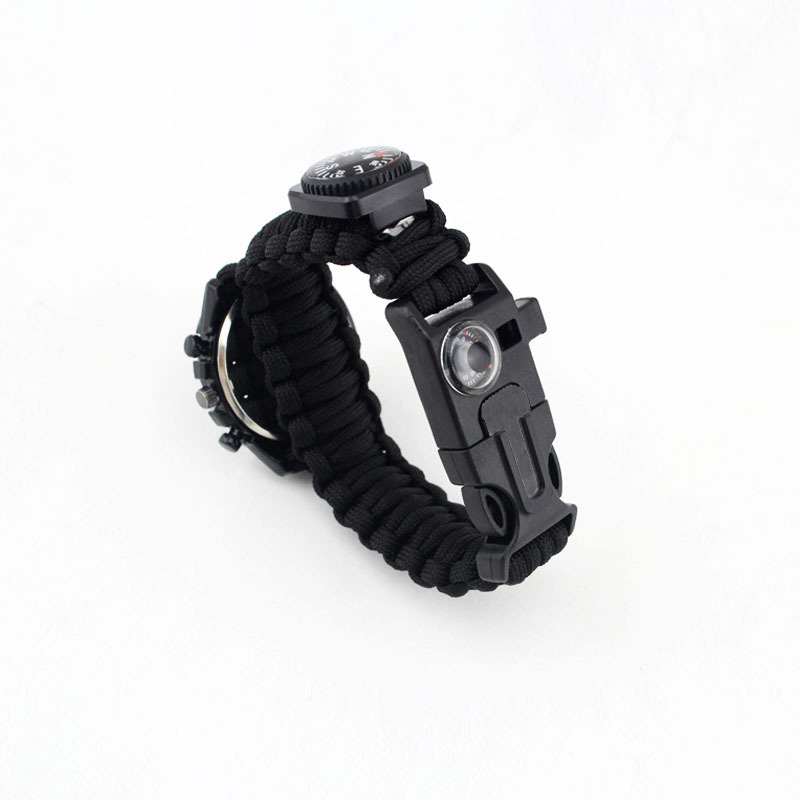 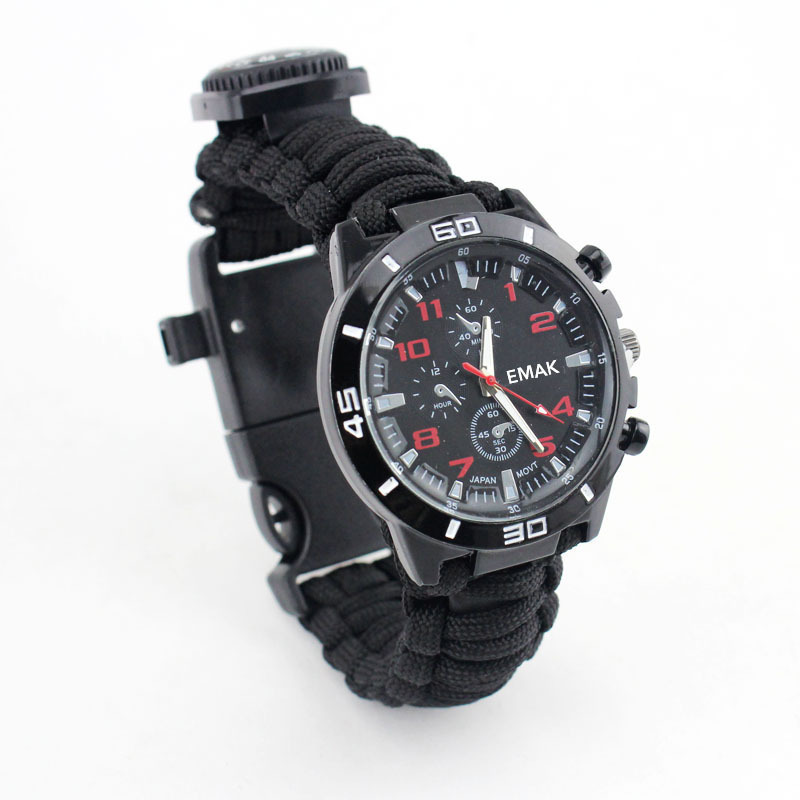 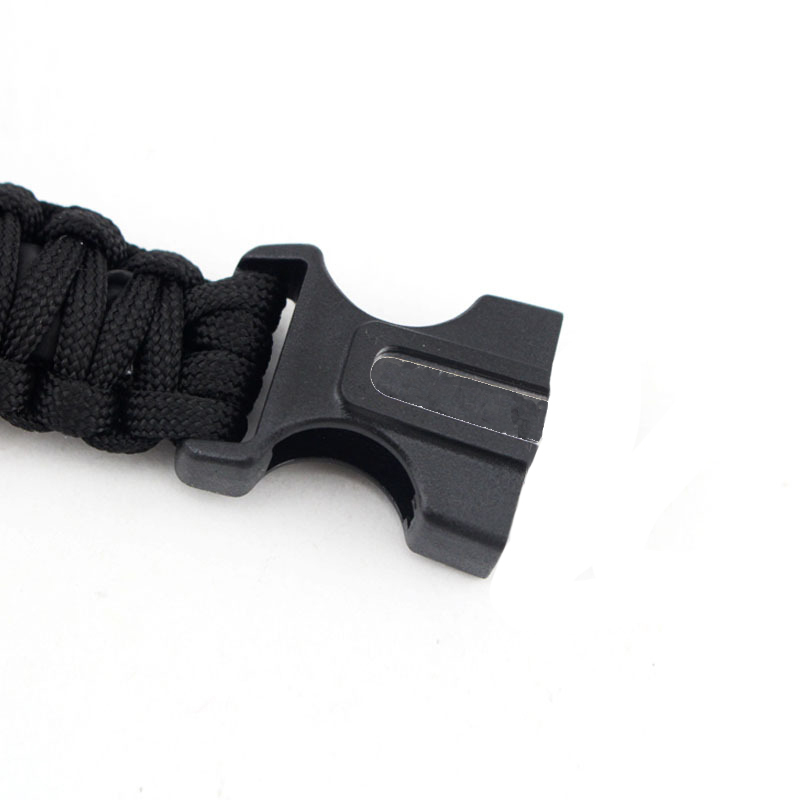 Features: Made from durable parachute cord that can be unraveled into a 3 meters rescue rope and used in emergency situation. 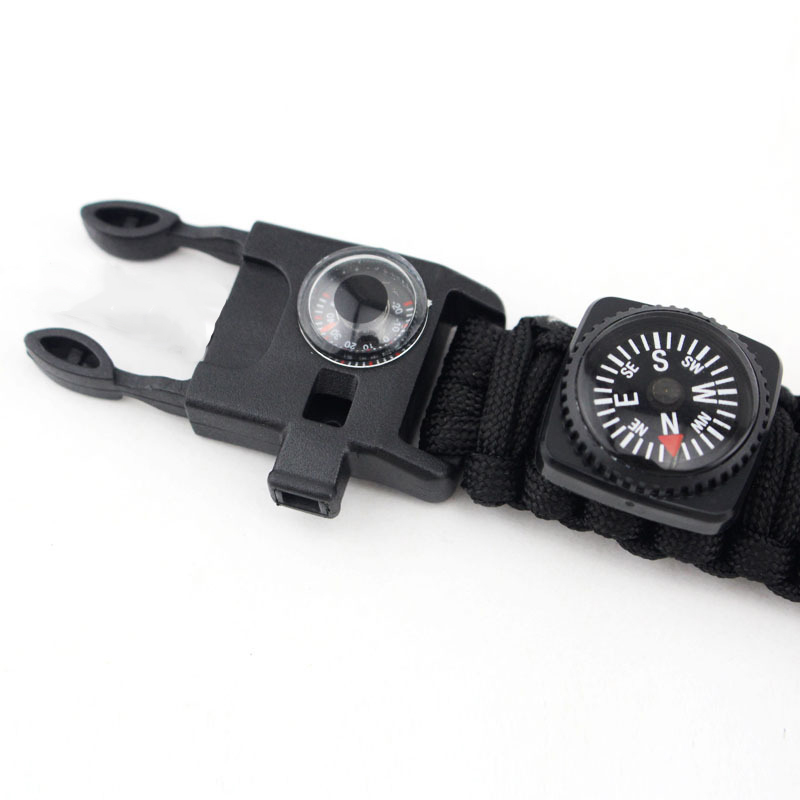 With watch and compass, you do not lose your way. 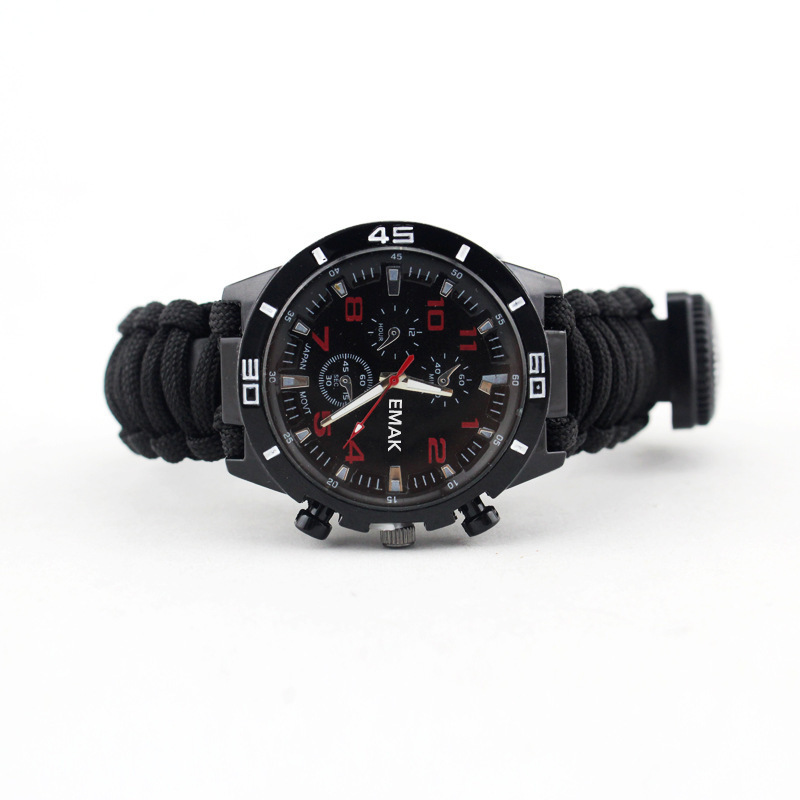 Unique design and multifunctional, fashion to wear and practical to use.